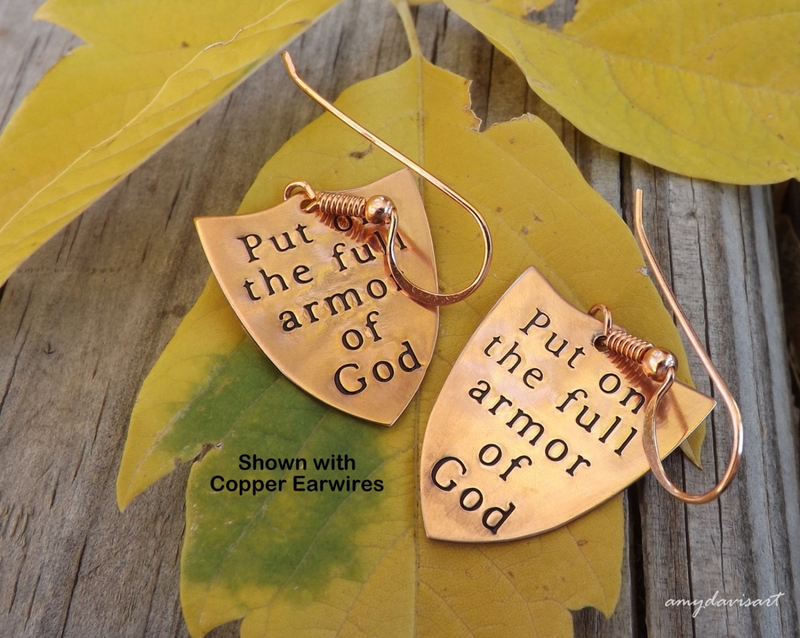 MADE TO ORDER: please allow 3-5 business days for me to make your order prior to shipping. 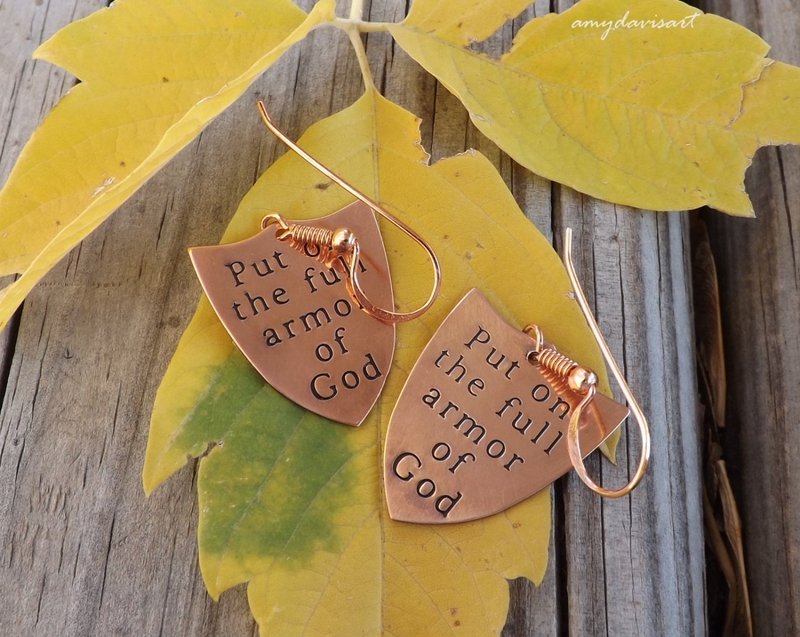 ⚜ Your earrings come in a gift box with bow and an Ephesians 6 scripture card, ready for gift giving or for yourself! 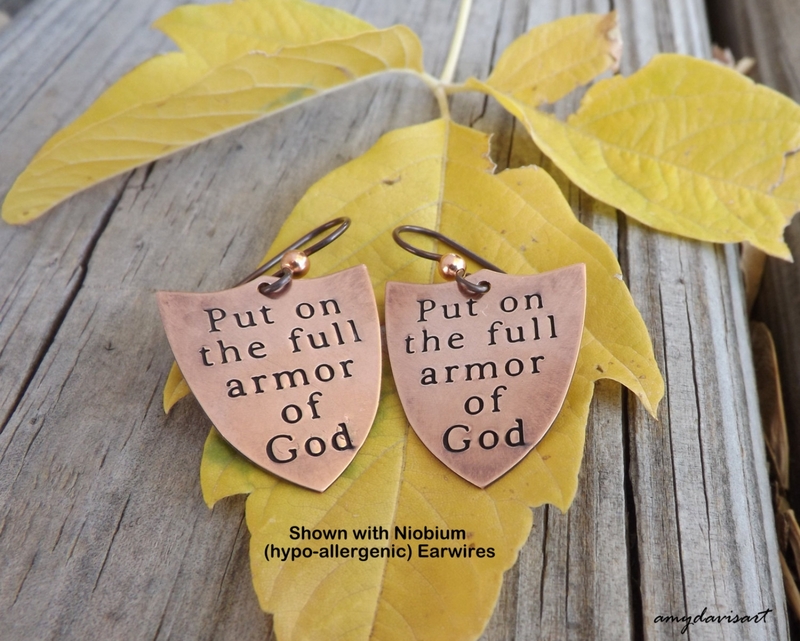 May this scripture jewelry be a blessed tool in your faith-walk! 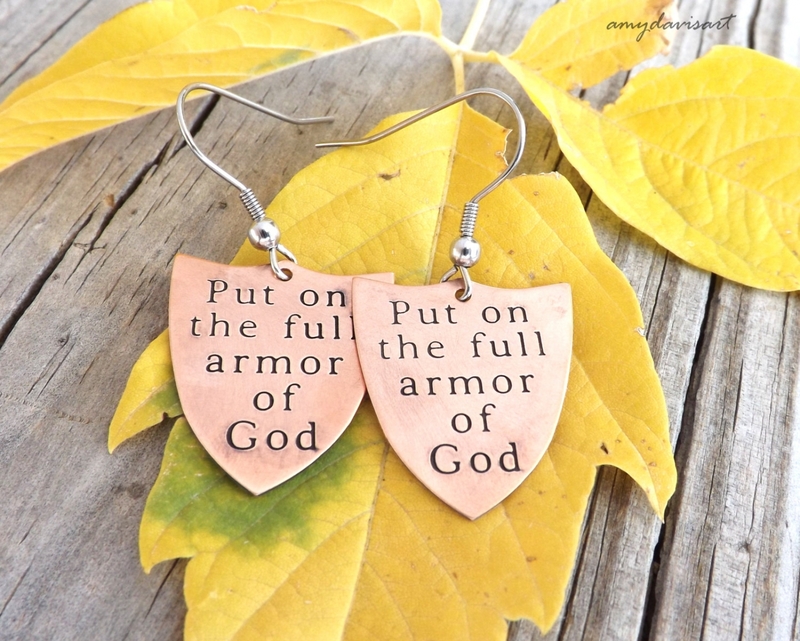 ☀Please note: I hand stamp each shield myself; there will be variations - no two sets of earrings will be exactly the same, making each set unique! 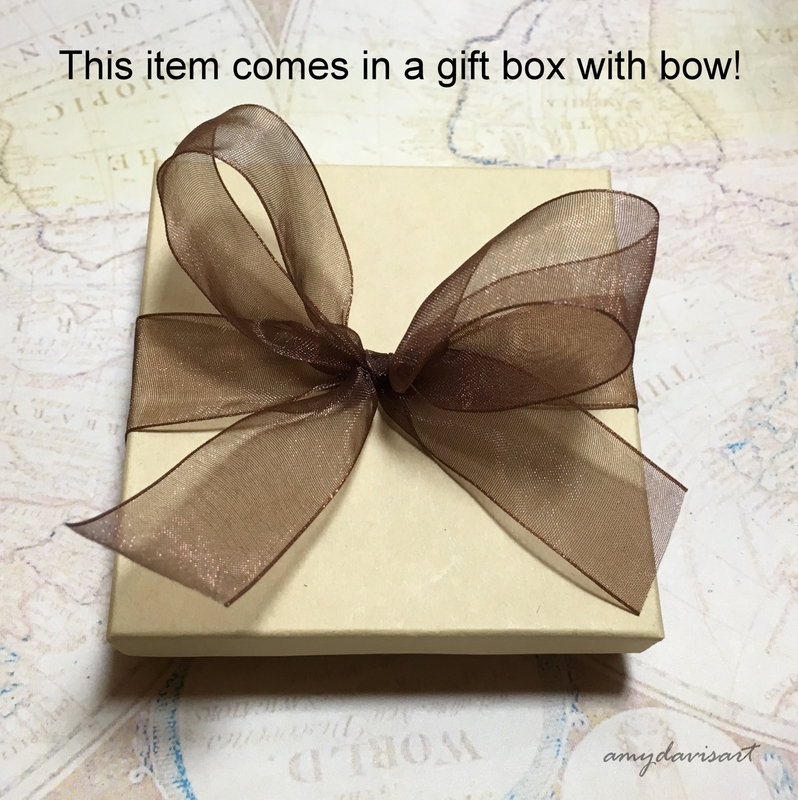 If you would like to receive a photo of your earrings prior to shipping, just leave a note in the comments box when checking out. 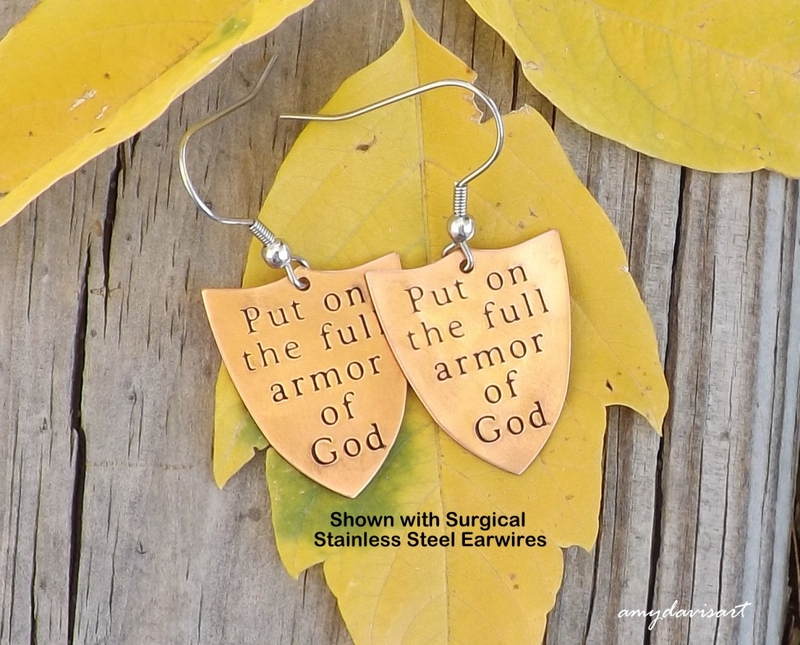 ♥HANDMADE with LOVE and PRAYER♥ in the U.S.A. Please let me know if you have any questions, I am happy to help. THANKS for stopping by AmyDavisArt!